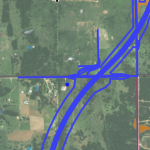 The Oklahoma Turnpike Authority recently approved requests to surplus a number of parcels of land along Luther Road in Harrah that it purchased for the new Eastern Oklahoma County Turnpike. An OTA spokesman said the parcels of land that are about 12 acres each will go to auction. 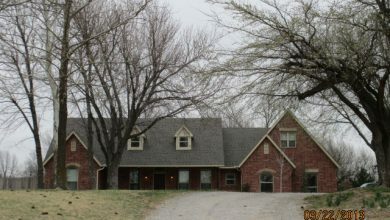 The properties are all along Luther Road in Harrah, just north of 63rd Street, on the west side. 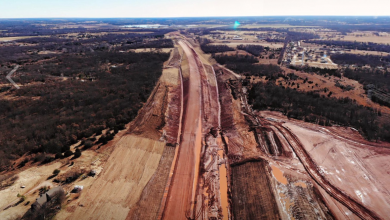 The latest overview of the 21-mile “Eastern Oklahoma County Corridor,” shows the toll road will be to the west of the parcels that are no longer needed. 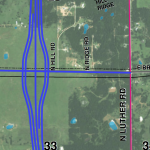 At the top of the new road, under construction currently in Luther, the EOC will be on the east side of Luther Road at 164th Street, but it will cross Luther Road just north of 150th and be built south toward Peebly. It crosses back over Luther Road at 63rd Street, according to the map, as it winds back and forth over Luther Road to I-40. Upon observation, most of the homes and buildings on the surplus properties still stand, as other homes have been razed for the road. The properties are mostly all along Luther Road between Wilshire and 63rd Street, some are 12 acre lots. Oklahoma Turnpike Authority property is tax exempt. Purchase prices for the properties acquired by OTA through negotiation or condemnation are not disclosed. Damrill said OTA is likely to offer more of these auctions. 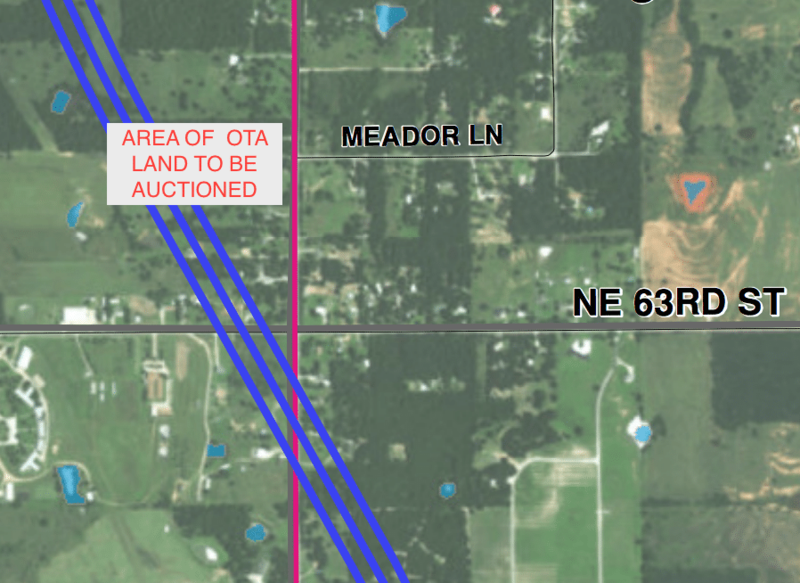 Meantime, OTA is still acquiring property for the project and a check of court records, just in 2018, shows about a couple of dozen “eminent domain” lawsuits ongoing in Oklahoma County. On the north end of the EOC, work is progressing on the high-speed interchange where the new toll road will join the Turner Turnpike. There will be no exit to Luther there. The first exit on the north end of the EOC will be at Britton Road. Nice of them to let us proles buy their excess stolen property. I am sure they will take these ill-gotten gains into account when they are setting the tolls. It would be too much to ask to expect them to use the excess proceeds to mitigate some of the losses of the victims of their excess thievery. Pretty good deal for the county too….they will get the land back on the books at a higher value so some new tax payers can pay more. Everyone wins again except for the common man. An interesting article would be a follow up on how much profit the turnpike authority makes on this. It would give us an idea of how bad we could look forward to being pillaged when they decide to come for our property.